If you thought glitter was a trend buried in the abyss of your teenage dreams, you're sorely mistaken. Glitter has resurfaced over the last few years, making its return on the runways of Fendi and DKNY. Pat McGrath, the celebrity makeup deity who sprinkles glitter on everything like a magical fairy, is a big part of why glitter has come back into our orbit and we can't lie, we kind of love it. The problem is, glitter isn't always easy to apply and at least for daytime beauty looks, a bad glitter job can be overwhelmingly garish. POSITIVELY POSSESSED by this #DARKSTAR006 Version: UltraViolet Blue lip from MAGNIFIQUE #MUA @jessica_ferrelli ⚡️⚡️#patmcgrathlabs006 Sephora.com and select @Sephora locations. That being said, it can be done tastefully and we're here to provide some guidance. We'll start with our biggest rule of thumb: NEVER use craft glitter on your face. Trust us when we say that can never end well. A glittery lip doesn't have to be overt. For a super subtle look, you don't even have to apply glitter to your entire lip. Simply apply a small amount to your Cupid's bow as a highlight. Nights out are a great time to experiment with bold trends but you still don't want to venture into disco ball territory. 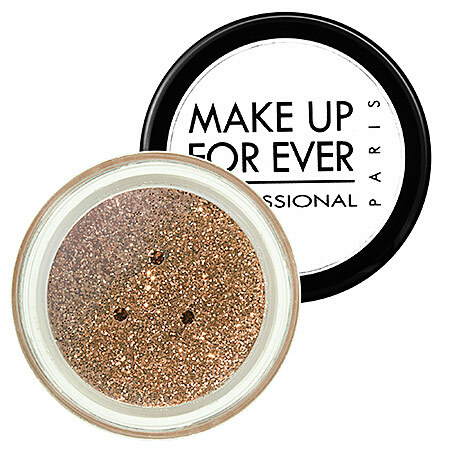 For a bold but grownup glittery lip, try using your favourite lipstick as usual and follow up with a finely milled glitter powder like this option from Makeup Forever (shown above). This way, you can also control the shimmer quotient. Don't shy away from wearing glitter in the day. The key to using glitter on your lids in the day is to use it to highlight key areas of your eye like the inner corners. Alternatively, find a great glitter liner and apply it to your lower lash line with a matte liner on your upper lash line. This is your opportunity to really play with this trend. Experiment with different colours and textures. The only rule we'd recommend is playing down your beauty look with clean dewy skin rather than heavy foundation. A neutral lip is great for a heavier glittery eye while a subtle shimmery eye will balance out a bold lip. When it comes to wearing glitter on your cheeks and face, avoid areas with a lot of fine lines. It can only serve to emphasize undesirable areas. Instead of patting on intense blue glitter all over your face, a more wearable way to do glitter is to opt for a sparkly clear gloss or powder. Rub it in over top of your blush or apply it in the area underneath your eyes to brighten. In 2015, a curious beauty trend emerged: glitter eyebrows. It remains a polarizing beauty trend that's either loved or hated. It may not be for everyone but it can certainly be charming if done well. Instead of densely coating your eyebrows, use a clear brow gel to tame and shape. Sprinkle on a few loose sparkles and go about your day like a low-key mermaid. A shimmering exterior is welcome any time of day. You just have to find a body glitter that's shimmery as opposed to glittery. We recommend Becca's Shimmering Skin Perfector Liquid Highlight. A little shine can act as the perfect highlight for certain parts of your body. Think collarbone area and shoulders. Start by exfoliating and moisturizing thoroughly. Apply body shimmer to these accent points to really bring attention to the area. Anyone who has ever been doused in glitter knows how strenuous the removal process is. It's nearly impossible to get every sparkly morsel out. The best way to remove glitter from your face and body is with a natural oil — like coconut. Rub it in and rinse off and you'll be glitter-free, for the most part. Use a lint brush or a piece of tape to remove any lingering strays.